A rebrand can be a great reboot for your company when done right, but when done wrong it can negatively affect your brand. 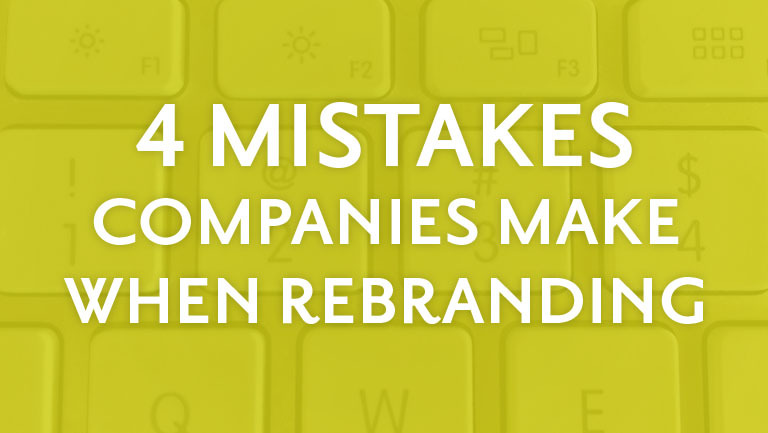 Read below to learn how to avoid common rebranding mistakes. A rebrand is ineffective if it isn’t tied into the underlying purpose of your business. A mission answers why your business exists. A vision encapsulates what you aspire to become. Businesses are constantly evolving, so it is important to take a look at those statements to see if they still fit your business. Starting with these will lay the foundation for your rebrand and serve as a guide for goal setting. Think about why you are rebranding in the first place. Have your services changed? Has your customer base changed? Has your location changed? Has your company experienced extensive growth? Where do you see your company going? A rebrand is much more than a logo update. Getting a new logo is tangible. It is easy to see the change. There is instant gratification, but a logo is just one piece of the branding puzzle. Changing your logo is only going to update the visual representation of your company, it isn’t going to change other elements of your brand like your mission, location, or employees. Trust us, if anyone cares about your logo update it is your graphic designer, but a designer with your best interests in mind understands that a rebrand will not be successful by simply updating a logo. There also needs to be a lot of thought put into updating a logo. Even if you are really unhappy with your current logo it is still the visual your company is identified by. Take into consideration what elements or colors (if any) are important to retain. Communicate with your designer, share your mission, vision, goals, even share your struggles. The more information you can provide about what you want (or don’t want) the better the chance you’ll get a logo that will accurately represent your brand and have longevity. Trying to rewrite your brand story affects all areas of your brand, including what is often the most visible part of your company—your employees. If your employees are unaware of what the company stands for, and the goals moving forward, they cannot accurately represent your business. Involving employees in your rebranding process shows them that you value their input and want them to be involved. Empower your staff to take ownership of the brand and become your premier brand ambassadors. Creating a strong culture can help improve morale, employee retention, and assist with recruitment efforts in the future. Ask your employees for their opinion and listen to what they have to say. They may have ideas that could improve how your business is run, or ideas on how to increase revenue. Post your mission and vision statements where they will be seen every day. 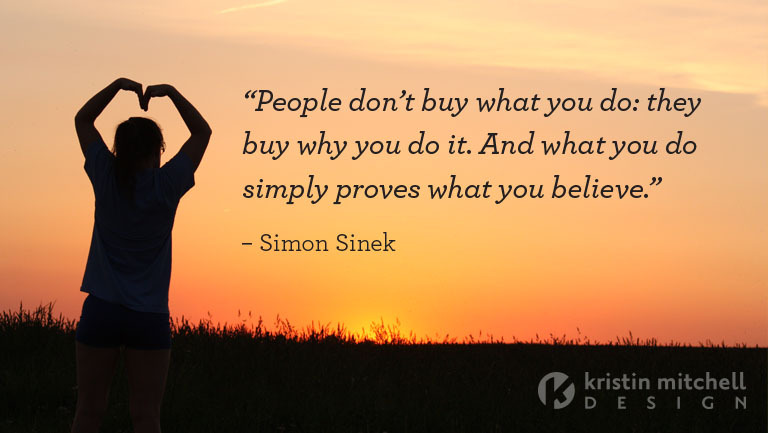 To create a successful brand everyone must be working toward the same goal. Implementing a rebrand takes time. It is more than just updating your letterhead and sending out an announcement to clients. It requires you to do an in depth search for every location that your logo appears in both print and digital, and update them. This includes any vendors, associations, news outlets, and social media channels that use your logo. You’ll be amazed at how many places your logo appears once you start hunting for it. Think about a company like Subway who rebranded in the fall of 2016—every napkin, bag, advertisement, billboard, menu, and uniform have to be updated. It is helpful to create a rebranding budget to make sure you are able to update everything from your business card to your outdoor signage. When we rebranded it was hard to just recycle our old letterhead and business cards, but we knew it wouldn’t look very professional to have our old logo on an envelope and new logo on the letterhead inside. Multiple logos for one company confuse customers and could lead to mistrust. Use a rebrand as an opportunity to refresh your marketing efforts. It is a great time to reach out to current and past clients, run a new ad series, create posts for social media, and update your website. Create some buzz. Give away some branded swag. There may be some things you simply can’t afford to update all at once, like vehicle graphics for your entire fleet. If that happens, develop a timeline for updates and put reminders in your calendar. For more on branding check out our other blog posts: Stand By Your Brand | Part 1 and Stand By Your Brand | Part 2. Considering a rebrand? Contact us and mention this post for a FREE brand analysis worksheet to help you get started.